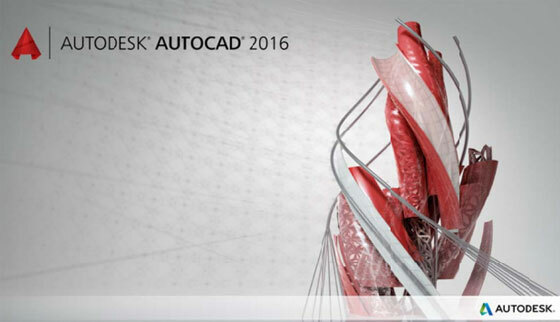 Autodesk has just introduced AutoCAD 2016, the most updated & improved version of its globally recognized Computer Aided Design (CAD) programs. Lots of advanced and striking features are included in AutoCAD 2016 which definitely speed up the 2D and 3D design, documentation & collaboration method and at the same time make the on-screen experience better by generating almost any figure. The users can get help through TrustedDWG™ technology to preserve and distribute design data as well as work securely with others. The detailing and documentation work will be significantly accelerated. The remarkable visual advancement will add a unique level of visibility and intensity to each aspect of a design. The productivity is also greatly increased through improved PDF output and closer integration with Building Information Modeling (BIM). With the enhancements in dimensioning & text editing, the complete drawing section will be improved and the users get the ability to work efficiently and rapidly as well as get a preview of their activities in real time. Enhancements to the drawing area in AutoCAD 2016 significantly get better visual exactness visible on screen. Improved readability and detail will substitute uneven line segments with smooth curves and arcs. The users can apply the most sophisticated graphics hardware to present a greater and faster visual experience. The users can get rid of “undo” a command through extended Command Preview. AutoCAD 2016 comes up with improved PDFs which are smaller in sizes and keeps up visual accuracy. PDFs are now completely searchable, all hyperlinks are preserved & attached to drawings. Enhanced smart dimensioning automate the process for producing perfect measurements on the basis of chosen object type that facilitates the users to create measurements precisely based on the drawing context. Availability: There exist various purchase options and the users can opt for a perpetual license with or without Maintenance Subscription, or a Desktop Subscription with pay-as-you-go monthly, quarterly, and annual options. With desktop subscription, the users can avail the latest updates and releases, one-on-one technical support, and priority support in the forums. Download a 30-day trial of AutoCAD, purchase an AutoCAD license, or learn more at autocad.com. Go through the following exclusive video tutorial to get familiar with various new and advanced features of AutoCAD 2016.